CITY of Plymouth’s Matthew Bradley continued his good form with victory in the annual Muskies Madness race on Saturday evening. This year the multi-terrain event, hosted by Plymouth Musketeers, was increased from five-and-a-half miles to a full 10k with a new course. The race started and finished at King’s Tamerton Community Centre and took runners into Ham Woods. 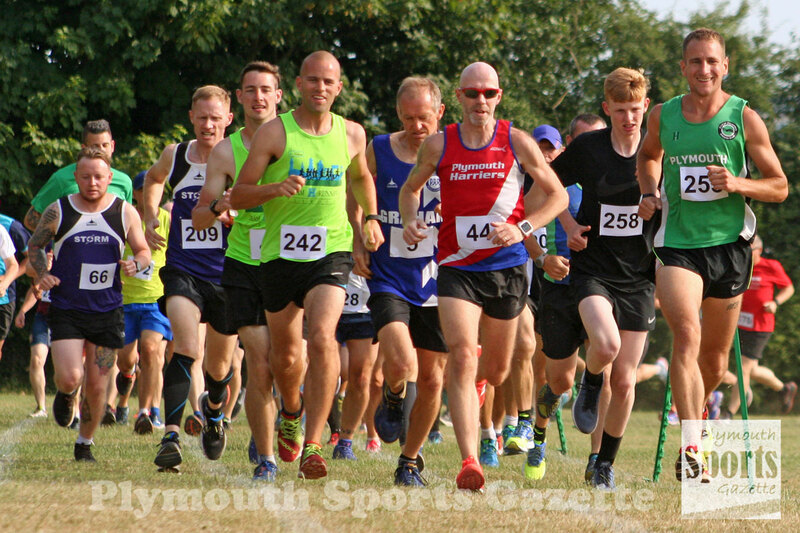 Bradley, who won last month’s Armada Summer 5k Series run and the Tavy 5k, held off the challenge of Team H’s Ben Morrish and last year’s winner Graham Bale to take victory in hot conditions. His winning time for the tough course was 38 minutes and 50 seconds. Morrish took second in 39.42, with over-50 veteran Bale third in 40.24. Ben Austin was fourth, with Plymouth Harriers’ David Beckenkrager fifth and first male 45-49, and youngster Sam Yearling sixth. Maddie Horton was seventh overall and first women in an impressive time of 42.10 minutes. Second women was Tamar Trotters’ Bex Ezra in 43.43, with Erme Valley’s Cleo Perry third in 47.14. The race attracted a good turnout with 234 finishers.